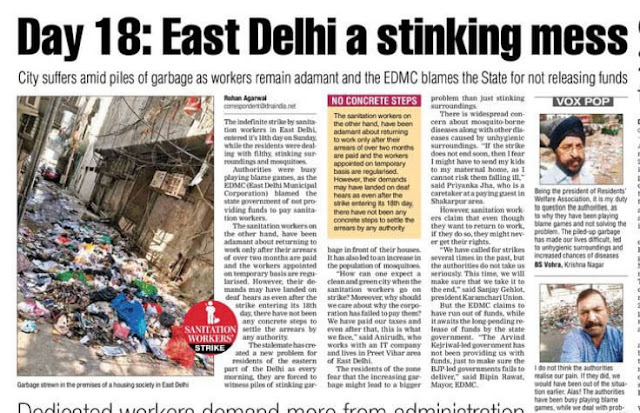 8 strikes in less than 4 years in east Delhi by the Sanitation workers had created the hell all over. 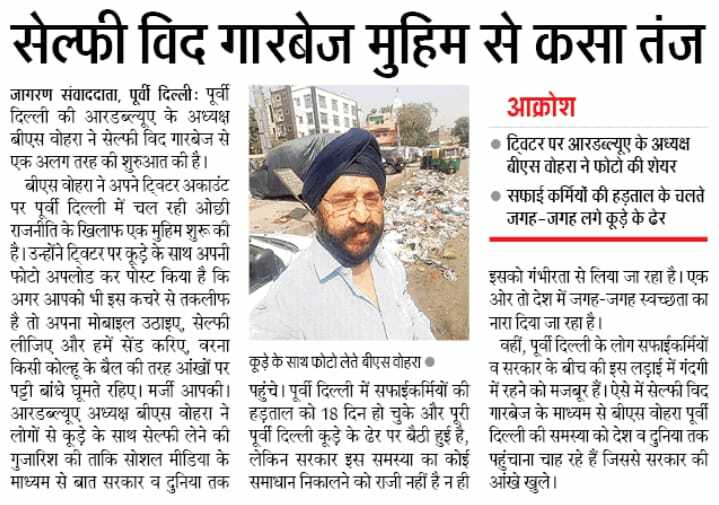 It was the 8th Strike and even after 15 days, we got no positive response from anyone. 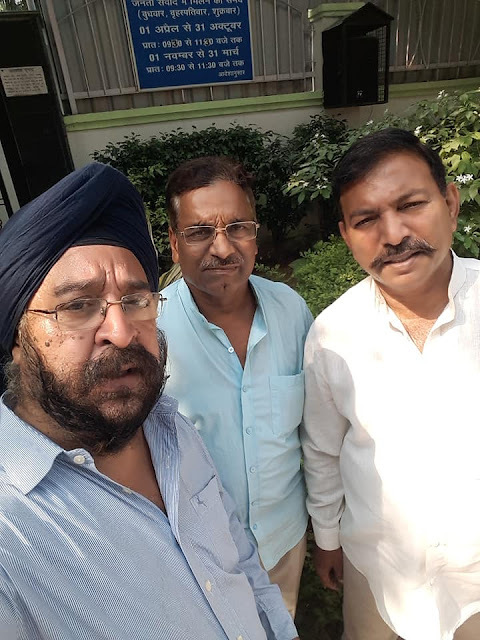 We met the EDMC officials and we were told that they had got only 590 Crores from the Delhi Govt and therefore had no funds to make the payment of salaries to the striking persons. 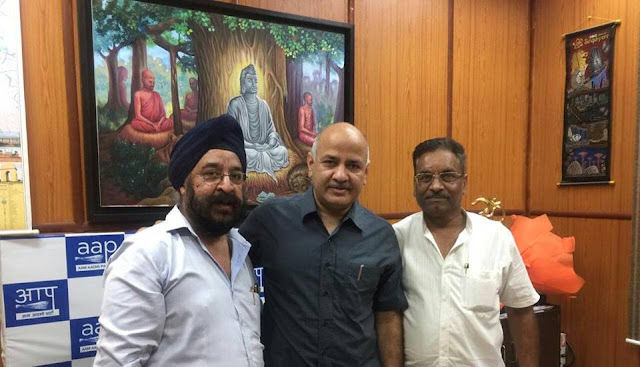 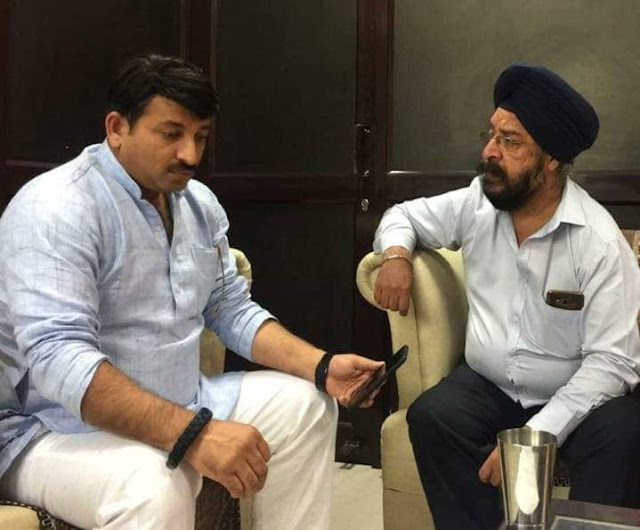 We proceeded towards the Delhi Govt and met Dy CM Manish Sisodia, who clearly told us that Delhi Govt has made the complete payment to the EDMC and so there was no more scope. 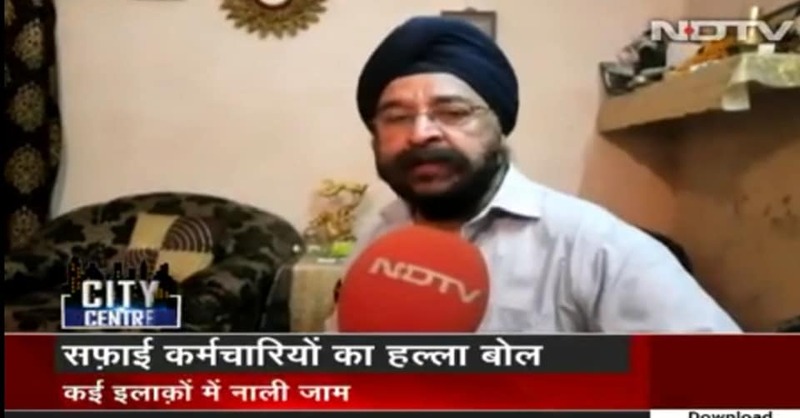 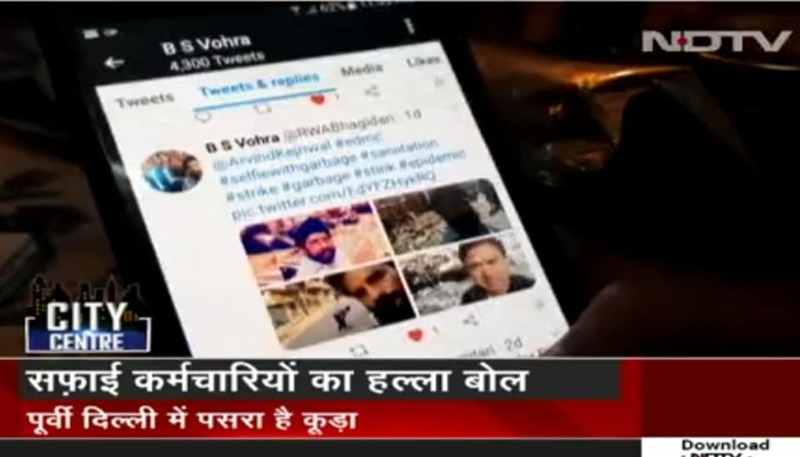 We raised the issue very seriously on the Delhi Aajtak TV channel. 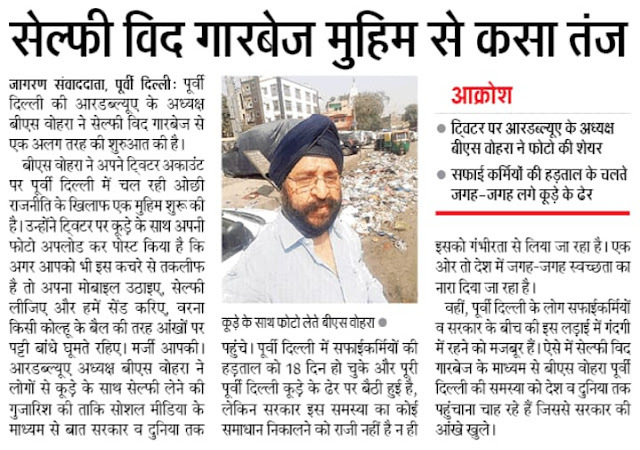 But the situation had taken the worst side as there was Garbage littered all over the streets as the streets were not being cleaned. There was stink all over and the rains had turned the situation into the worst as even the spread of some Epidemic was being expected. 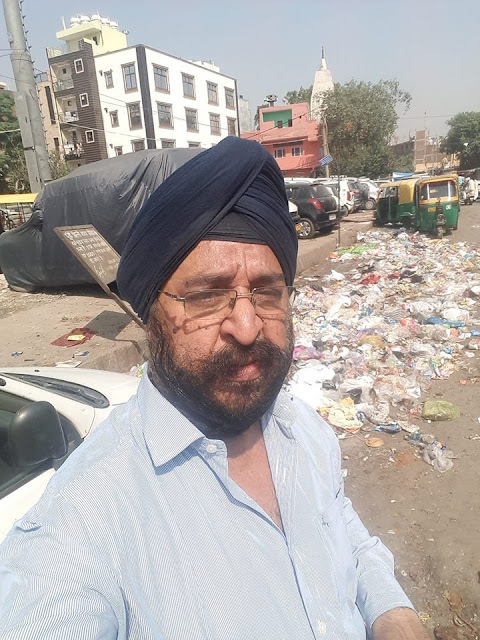 On finding no visible solution anywhere, we started the campaign #SelfieWithGarbage. 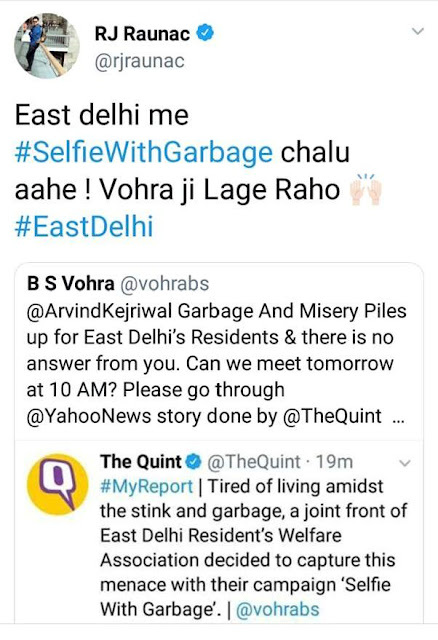 Yeah, it looked quite awkward as no one prefers to even go near the Garbage and we were asking for the Selfies with the Garbage. 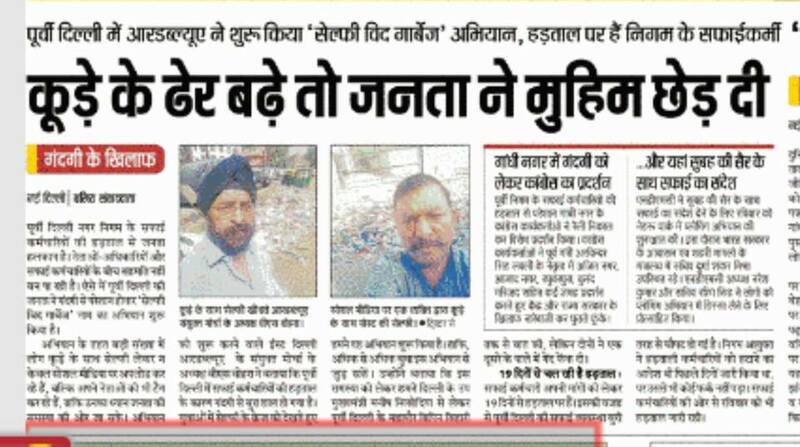 But we clicked a few pics of ours & our network of RWA BHAGIDARI supported us completely. The outcome was a huge lot of selfies from all over. The media too supported us wholeheartedly & the campaign got prominence over many other issues. The issue was covered by YAHOO NEWS (link), Hindustan Times, Times of India, The Hindu, Indian Express, DNA, Nav Bharat Times, Dainik Jagran, Live Hindustan, India Times (link), First Post (link), India.com (link), The Quint (link), Mail Today & many others. 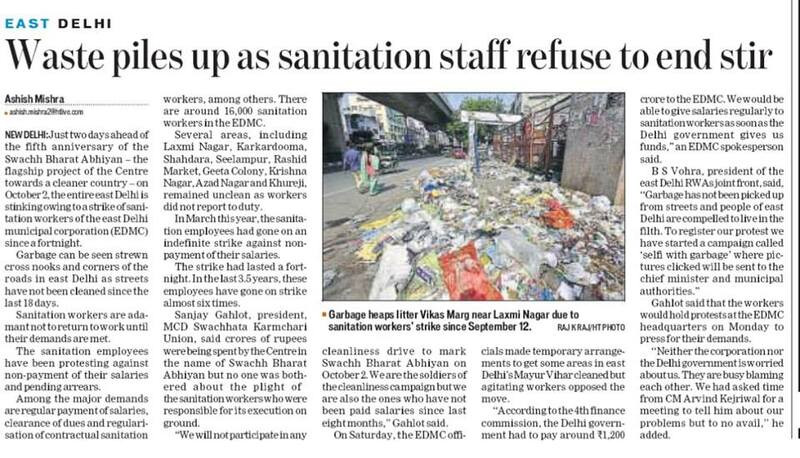 Life Stinks for East Delhi Locals As Workers Refuse to End Strike. and the strike was called off after 24 days.